Spinal Cord Stimulation (SCS) is an advanced neuromodulation technology that offers effective methods for treating chronic pain of neurologic origin in the back, trunk, and limbs. SCS gives us a clinically proven, drug-free therapy that has been successful in treating pain associated with conditions such as postlaminectomy syndrome, axial low back pain, radiculopathy, peripheral neuropathy, and Complex Regional Pain Syndrome (CRPS). Pain signals travel along the spinal cord to the brain. SCS therapy applies electrical doses directly to the nerve fibers, changing the pain signal into something the brain interprets as a sensation called “paresthesia.” Patients generally describe it as a gentle tingling or massage-like feeling. 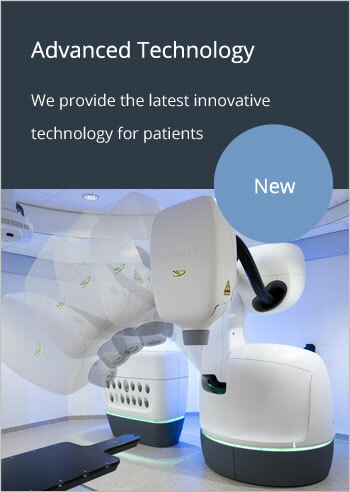 The first step in SCS therapy is a minimally invasive, reversible outpatient procedure in which the patient receives a temporary, nonimplanted (external) system. Wire leads connect the external trial device to electrode contacts placed over the spinal cord. The system delivers electrical impulses that can mask pain signals. Next, a small, rechargeable implant called an Implantable Pulse Generator (IPG) is surgically placed in a comfortable, convenient position under the patient’s skin. Patients often remain awake during this procedure; under local or light anesthesia. 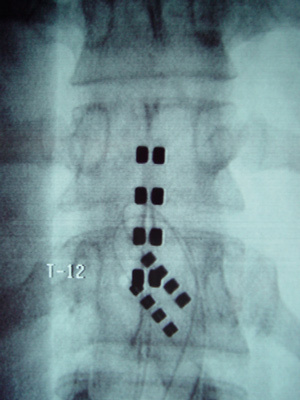 Flexible leads that were inserted into the epidural space near the spinal cord are connected to the IPG unit. Each lead has a number of tightly spaced electrode contacts (Figure). The IPG unit produces electrical impulses that travel along the leads to the contacts to deliver pain-masking signals. Afterward, the patient controls the stimulation fields with the same remote control unit used during the trial period.